Amaira Zamora has joined Strongwell as a Receptionist for STRONGWELL S. de R.L. 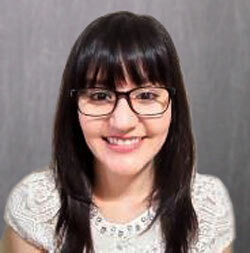 de C.V.
We are pleased to announce that Amaira Zamora has joined Strongwell as a Receptionist for STRONGWELL S. de R.L. de C.V. Amaira will report to Diana Moreno and will be supporting administrative activities for the Mexico facility. A native of Monterrey, NL; Amaira received her Bachelors of Communication from Universidad Humanista in Monterrey in 2012. Amaira was most previously employed in the area of Special Projects at MARCO (Contemporary Art Museum). Amaira currently resides in Apodaca with her mother and sister. In her free time, Amaira enjoys singing, ride bicycle and travelling. Currently she participates in recreational races. Please offer your full support and join us in welcoming Amaira to Strongwell.